The repairmen at iFixit have gotten a chance to open up Apple's new iTV, to see what is inside. 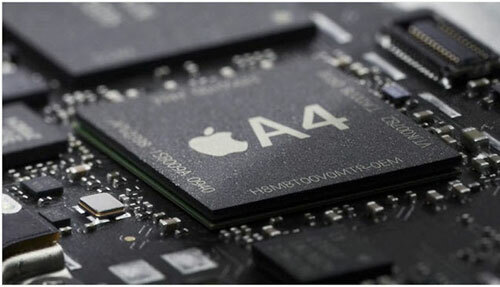 iFixit has discovered that the iTV's flash internal storage is only 8 GB of NAND, an important fact that Apple chose not to widely discuss, as the iTV focuses less on storing content and more on streaming. Since it does focus more on streaming and not as much of storage, the device only offers 256 MB of RAM, while the iPhone and iPod 4 have twice the RAM, with 512 apiece. The iTV is also equipped with the iPad's A4 processor, giving a nice amount of power to load screen animation, and dropping the power supply rating to 5.95 watts. Oddly enough though, Steve Jobs mentioned that a version of the App store may come to the iTV in the future. This is strange because if they were planning to put the App Store on the iTV later, more RAM and more internal storage would have been vital if lots of apps were to be downloaded. This choice by Apple will limit the type and number of Apps that would be on this App Store.